Stop washing away your good looks and start washing away your bad shower habits. And we win all of them, don't we? How many showers is too many? Read about why science says it's important to shower less. It's like asking to get an infection in the most delicate area on your body. Cause there is always room for improvement, even in the most mundane of activities. Elizaveta Bulokhova thought she was about to lose everything. Big surprise: they still look amazing. Nothing in this world feels better than getting into a nice, hot shower first thing in the morning. And like all enjoyable things in life, it's horrible for you. Hot water can dry out your skin and lead to rashes. Case in point: Look at this skeleton. It had skin before it stepped into that shower. If you're like me, you enjoy singing the entirety of Les Miserables while you shower. Well, we should probably stop doing that (no matter how good we sound) because it's a giant waste of water. 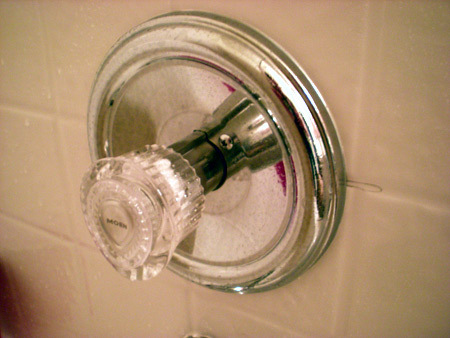 You should get into the habit of keeping your showers at five minutes or less. If you need help, you can buy a 5 Minute Shower Coach, which is an absolutely ridiculous name for what's essentially a glorified hourglass. Antibacterial soap sounds good, right? Bacteria can be bad, so why not get something that fights the bad thing? The truth is, it doesn't. Antibacterial soaps use a chemical known as triclosan, which is designed to fight bacteria and fungus, only there's no proof that it actually works better than regular soap. Bacteria can also grow resistant to the chemical, which could cause widespread health problems in the future. Also, stop using soap bars in general and switch to a shower gel. Soap bars leave a lot more scum on the tiles and around the tub than gels do. Is there anything better than a good workout? Probably, if you stop and really think about it. But while you're sitting there after your workout thinking about things that might be better than it, bacteria and yeast are building up on your gross, sweaty body. This increases your chances of getting a skin infection, so take a shower as soon as you can after your workout. As fun as exfoliating is (Just saying it is a blast. Say "exfoliating." See? Fun! ), you don't need to do it every day. Doing so could leave your skin red and dry. Exfoliating three to four times a week should be enough, unless you like that irritated skin look. You would think that washing your face in the shower is the perfect place to do it, allowing you to kill two birds with one stone. However, dermatologist Dr. Rachel Nazarian couldn't disagree with you more. "Hot water and temperatures will dilate blood vessels and capillaries," Dr. Nazarian told Marie Claire. "That can leave skin red and aggravate conditions like rosacea, which ultimately leads to broken and permanently dilated vessels." It can also lead to moisture loss and can distract you from the man dressed like his mother who's trying to murder you. I generally reserve cold showers for when I've done something that I feel awful about. The cold water helps wash away the shame. But there are other benefits to using cold water, such as improving blood circulation and activating the healthy fats in your body, which can help you lose weight. If you start off with a warm shower, then switch over to cold at the end, it can aide in shaking any fatigue you may be feeling when you get up in the morning. You would think it'd be impossible to dry yourself incorrectly, but you would also be embarrassingly wrong. You're most likely wiping yourself down with your towel, which can irritate your skin. What you should do is pat yourself dry. Then pat yourself on the back for drying yourself the right way. 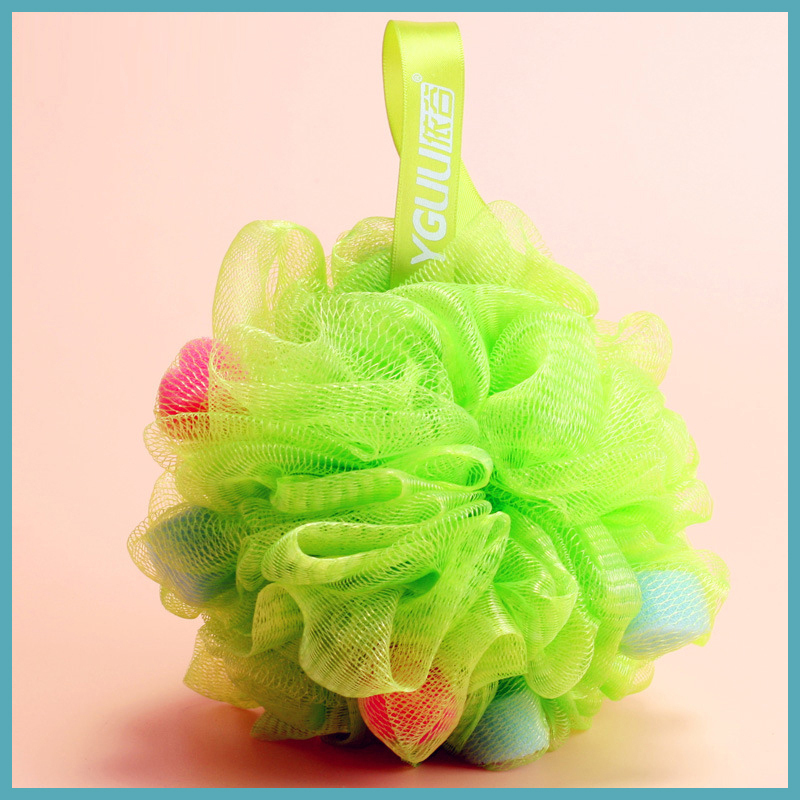 People tend to forget to rinse their loofahs out, and they don't always dry very well, making them the perfect place for bacteria to grow. So, do your skin (and your roommates) a favor and clean that thing at least once a week, replacing it every one to two months. Some people will tell you to moisturize your skin immediately after you get out of the shower. Those people are fools who aren't meant to be trusted. If you wait roughly 30 minutes before applying moisturizer to your skin, your body's natural oils will resurface and you won't have to use as much moisturizer as you did immediately after stepping out of the shower. Just don't let Leslie Mann find out you're waiting. She knows where you live. You don't have to wash your hair every day either! I know, you hate that oily feeling that your hair gets when you don't wash it, but you're actually doing more harm than good. "It's paradoxical, but people who wash their hair a lot to get rid of oil are drying out their scalp and producing more oil," director of Boston Medical Center's hair clinic Lynne Goldberg told Business Insider. So sleep in an extra 15 minutes every other day or so. You and your hair deserve it. 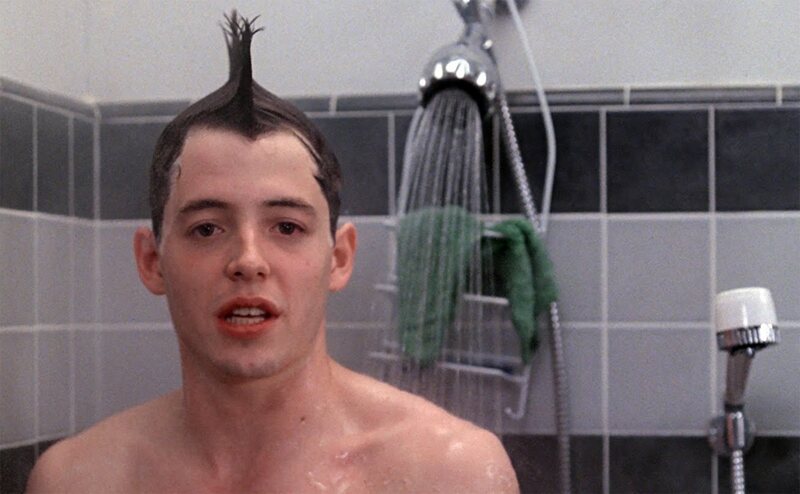 For a long time, I used to just put shampoo in my hair, then stand in the shower and let all of those suds trickle down to the rest of my body. I figured if it was good enough for Ronald Reagan, then it was good enough for me. Well, it turns out that you have to actually scrub your legs and feet to get them clean. 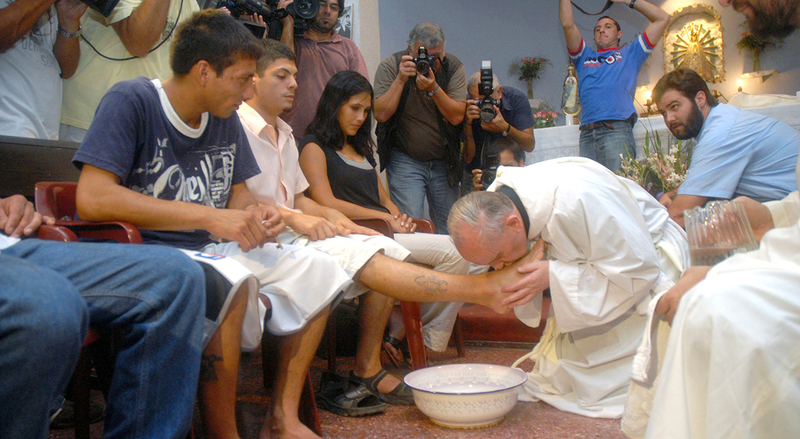 If you're lucky, you can get the Pope to do it for free! He'll even give your feet a kiss at no extra charge. The Pope is the greatest! You've been conditioned to condition your roots all your life, but doing so is the root of all evil hair problems. Instead, StyleCaster recommends conditioning only the ends of your hair, since that's where your hair is the oldest and needs the benefits of conditioner the most. 14. Shave Before Or After a Shower? The argument for shaving before or after a shower is as old as time, give or take a few epochs, and it all really depends on what you shave with. Electric razors work better with dry hair, so you'll want to shave before you hop into the shower. If your prefer the smooth cut of a blade, you'll want to shave after you shower. The hot water helps open your pores, allowing for a closer shave. The thing you neverdo is shave your beard into a goatee. It's the sad man's beard. Just because I said you shouldn't sing the entirety of Les Miserableswhile showering doesn't mean you should stop singing altogether. Singing in the shower can reduce your blood pressure and ease stress. I like to sing "Girls Just Want to Have Fun," only I replace "girls" with "guys" because we like to have a good time too.